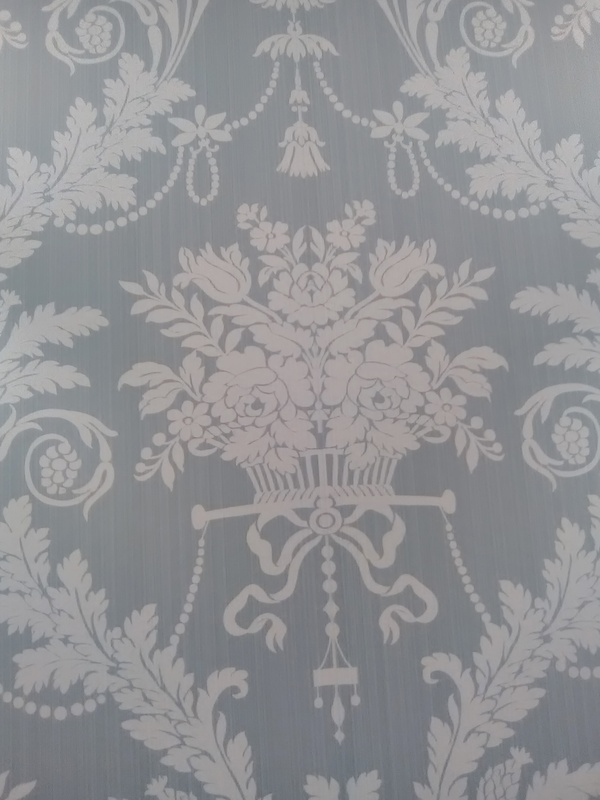 I love traditional patterns – like this “Classic Damask” by Thibaut. I hung this in a powder room in a home in Kingwood (north Houston) that had been damaged by flooding during Hurricane Harvey. 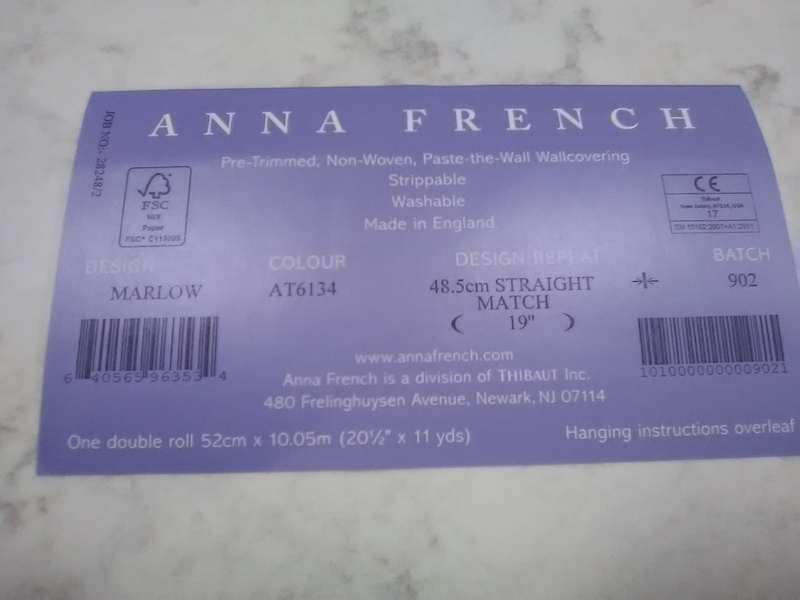 It looked fabulous, was nice to work with, and is … not available anymore. 😦 The pattern has been discontinued. This couple got married, blended their families, built a house, then got flooded by 3′ of water during Hurricane Harvey – all within less than a year…. Talk about stress! 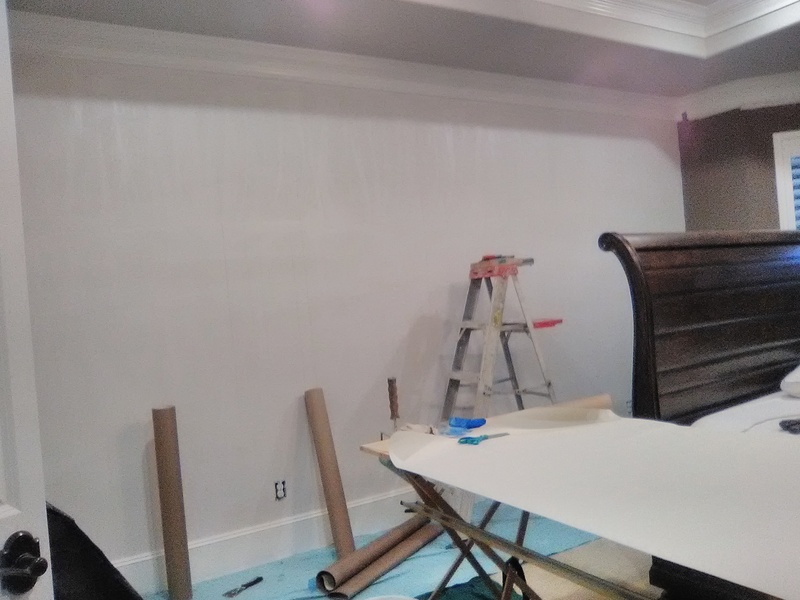 Well, now that the home is back together, this soothing master bedroom will give them a calm and quiet sanctuary. 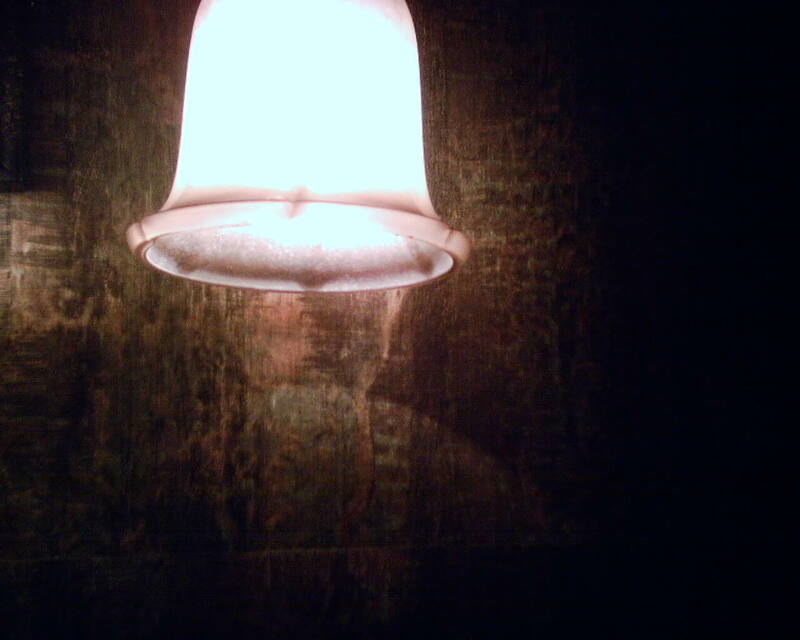 The wallpaper went on one feature wall, behind the headboard. 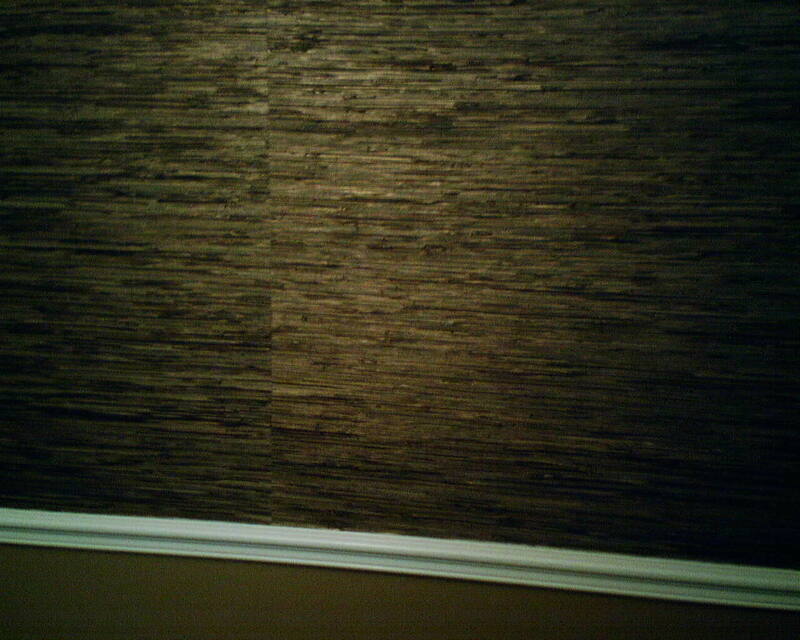 This is a grasscloth wallpaper the color of milk chocolate. Although there were some minor shading issues, I was very pleased that the color of the strips was pretty consistent from strip to strip. 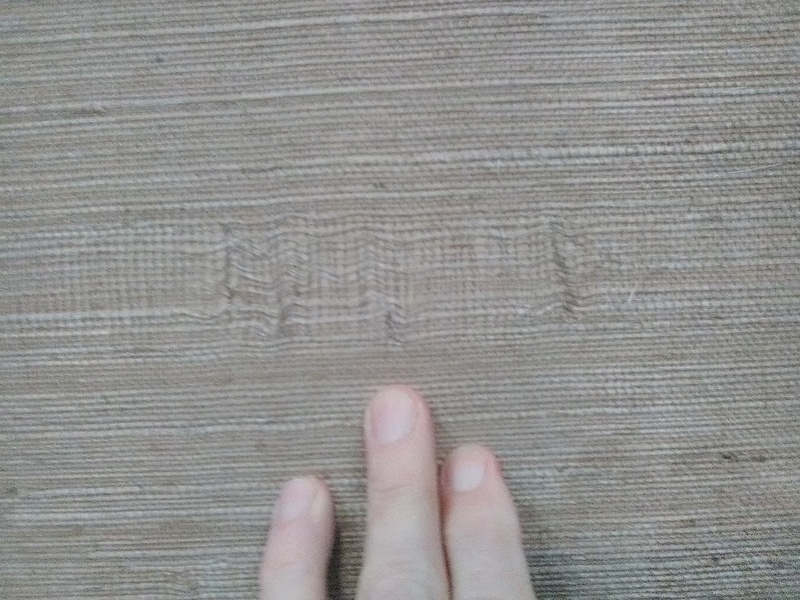 The bottom photo shows a discrepancy in the weaving – this is not considered a defect, but “part of the inherent beauty of this natural product.” Luckily, it was in a location that would be hidden behind the bed. There was one more similar spot, but it was much smaller and not anything to complain about. The material was bought from my favorite source for good quality, product knowledge, expert service, and competitive price – Dorota Hartwig at Southwestern Paint on Bissonnet near Kirby. (713) 520-6262 or dorotasouthwestern@hotmail.com. She is great at helping you find just the perfect paper! Discuss your project and make an appointment before heading over to see her. 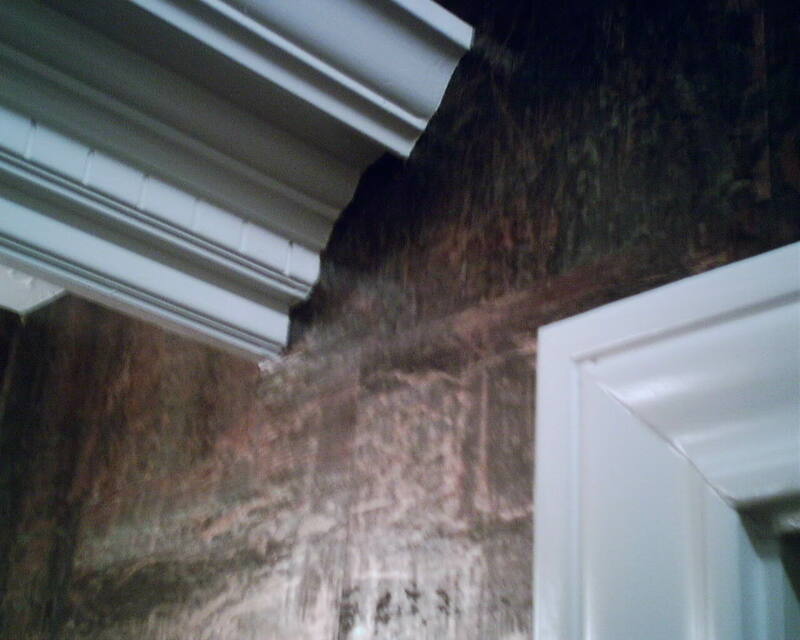 OK, a really bad photo, but – trust me – the room turned out gorgeous, and the homeowner loved it! A popular choice, I have hung this in several colors – silver, copper, bronze. 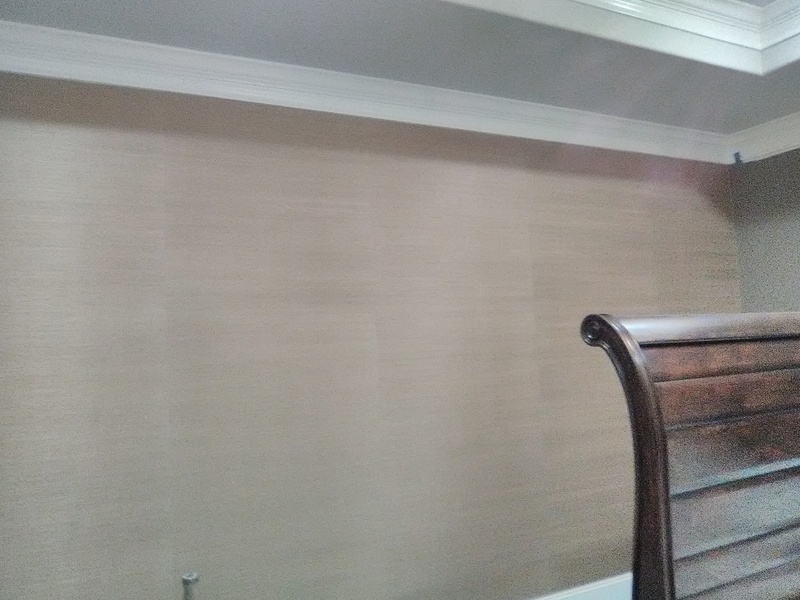 This is a Thibaut brand grasscloth, in metallic copper on black, and I hung it on the top 2/3 of the walls in a dining room in Kingwood (Houston). 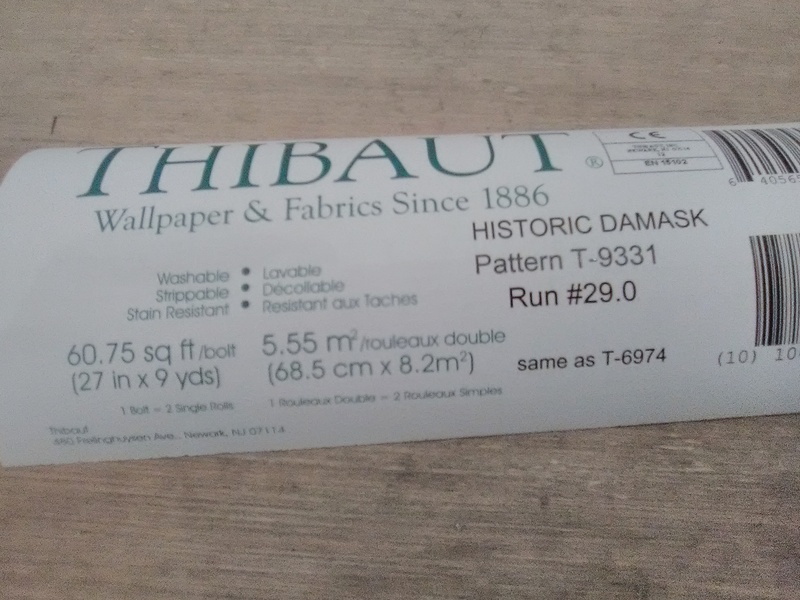 After having so many bad looking jobs with grasscloth that shaded / paneled, I was VERY happy to see that Thibaut’s product did NOT have shading issues, and the finished look was very uniform. The homeowner had me hang the same grasscloth on the backs of bookshelves in the office, across the hall from the dining room. A great way to tie the two rooms together, and also a beautiful backdrop for the items to be displayed on the shelves. My camera farted out on me yesterday, so I can’t show you the pics of my hands, totally black, from the ink that came off the grasscloth. 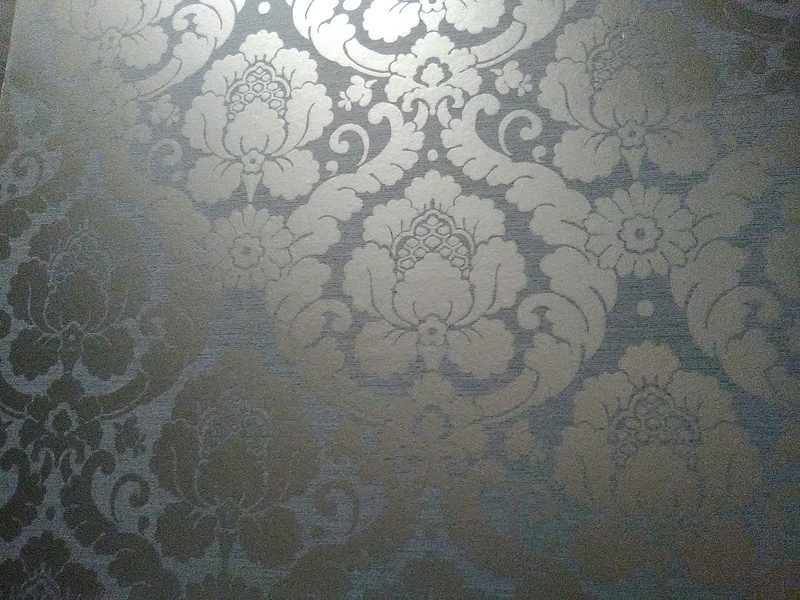 That has happened every time I’ve hung this wallpaper. 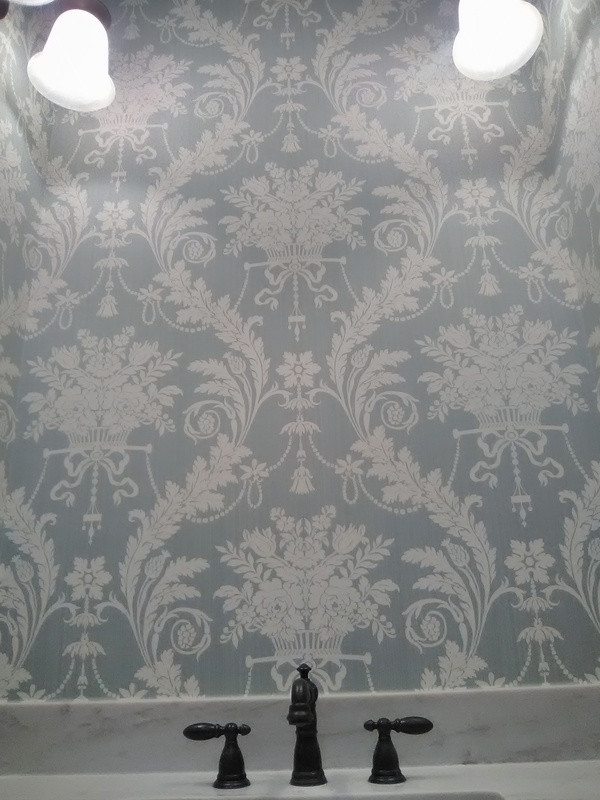 Stoney Brook makes a very unique wallcovering that comes in pieces, not strips or rolls. 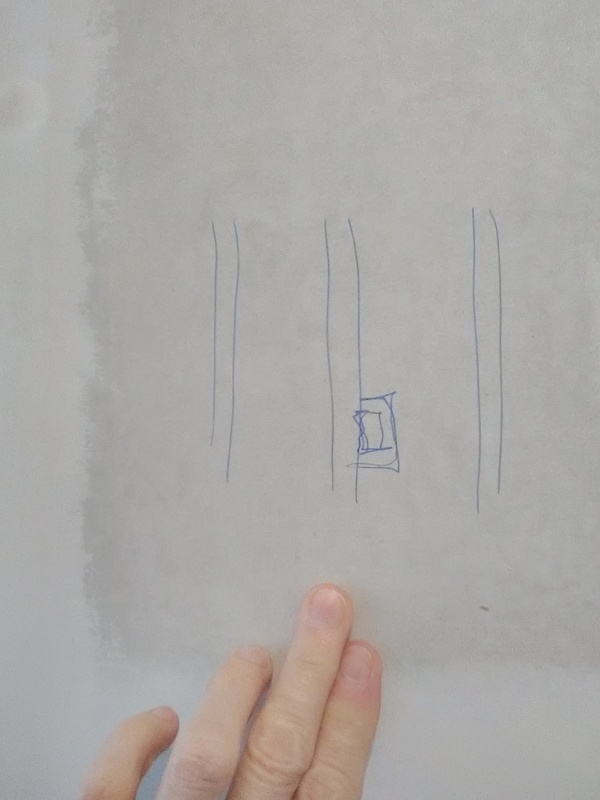 The pieces are custom-colored in your choice of pattern, and are overlapped on the wall, and the shape of the piece beneath it shows through when the paper dries and shrinks. Often you see torn pieces, but this homeowner chose blocks of different sizes. 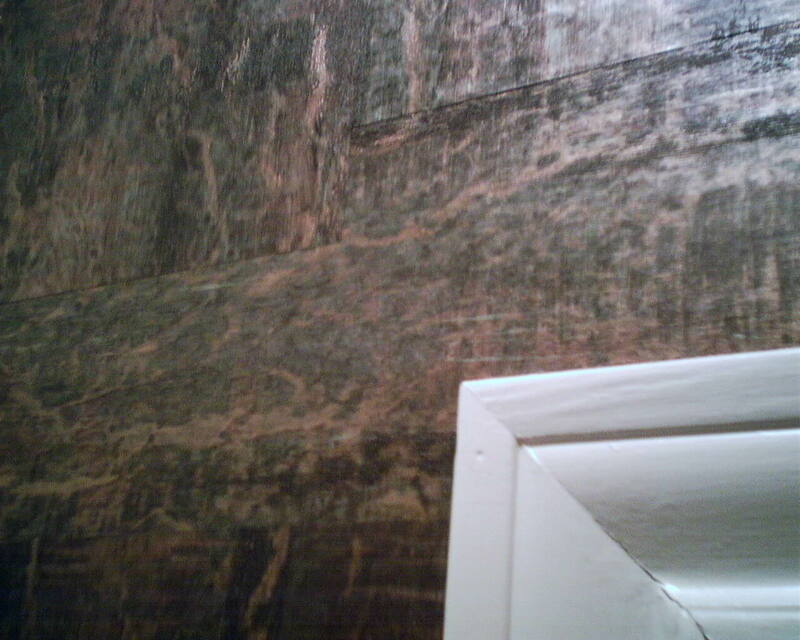 Once the room is finished, the walls look like polished marble. While the torn paper version is rugged and rustic, I find the blocks to be quite elegant. 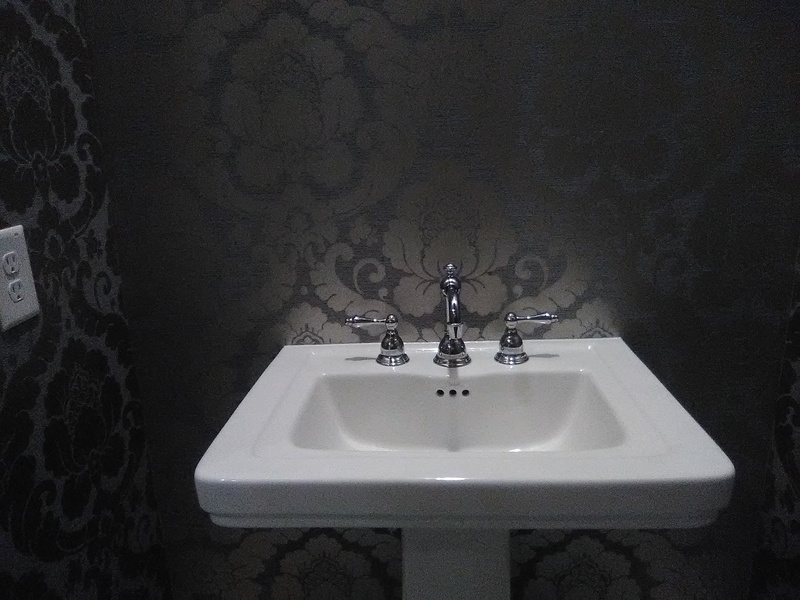 This went in a powder room in Kingwood, and the homeowner loved it. I can guarantee you that NO ONE else in Kingwood has a bathroom like this!